Enjoy the peace and tranquility of this 71+/- acre parcel with over 2100 feet along the Crooked River. This property has a double wide mobile home, a two bay boat barn, a two bay RV Barn with 50amp and 30 amp service. Approx 40 acres of plantation cut timberland, a 90' dock running along the river and a floating dock. It also has a workshop, and a cook house with plenty of room for a family gathering. 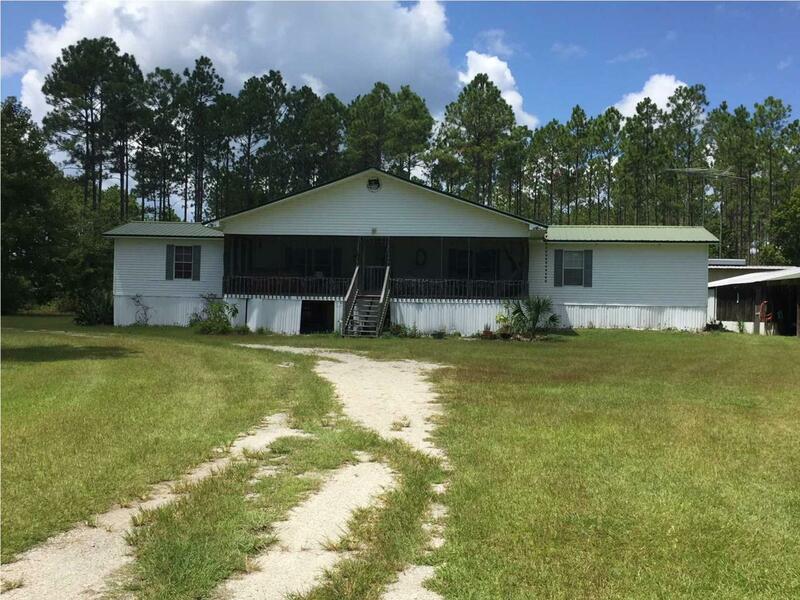 This property backs up to the Apalachicola National Forest with great hunting and fishing possibilities right at your back door ! !. Listing provided courtesy of Coastal Realty Group - Carrabelle.